Divorce and Florida Estate Plans: What should I know? It’s pretty common to see spouses name each other in their estate planning documents. In Florida, a married couple has the option to create joint wills together. But what happens if you and your spouse have a joint will and other estate planning documents created and later on you get divorced? 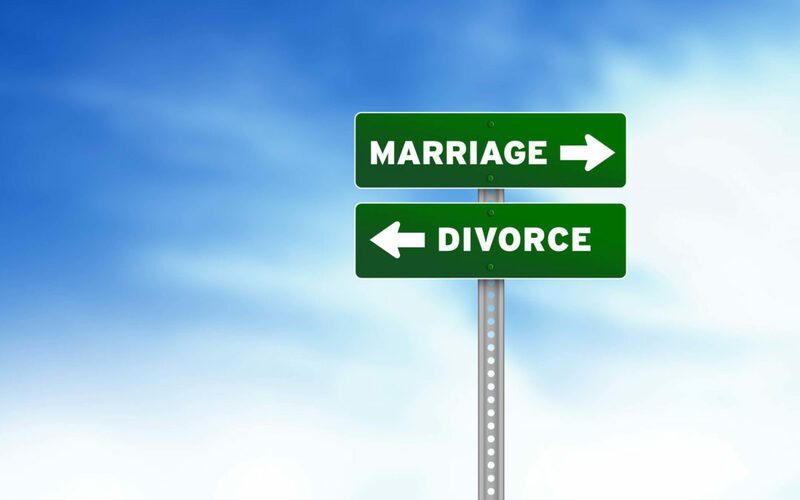 Florida has some laws that specifically deal with estate plans for couples who divorce. It’s important to keep these laws in mind when you’re getting divorced in Florida. What happens to your existing last will and testament after a divorce? As stated in section 732.507(2), Florida Statutes, “Any provision of a will executed by a married person that affects the spouse of that person shall become void upon the divorce of that person or upon the dissolution or annulment of the marriage. After the dissolution, divorce, or annulment, the will shall be administered and construed as if the former spouse had died at the time of the dissolution, divorce, or annulment of the marriage, unless the will or the dissolution or divorce judgment expressly provides otherwise.” While a divorce will render the parts of the will that name the former spouse “void”, this may pose as a problem if the former spouse is the only person named in the will. Section 732.507, Florida Statutes attempts to prevent the unintended transfer of assets to a divorced spouse in the event a spouse dies after the divorce, but has not updated his or her estate planning documents. It is important to remember that this statute only takes effect after the final disposition of the divorce proceedings. Therefore, if a spouse passes away when a divorce is pending, the will provisions transferring assets to the spouse may still be effective. What about my revocable trust after a divorce? Section 736.1105 means that once the divorce is final, any provision for the divorced spouse in your revocable trust is considered void. This helps to prevent the unintentional transfer of assets to a divorced spouse in the event a spouse does not change his or her trust after the divorce. What about my beneficiary designations on bank accounts, investments, insurance contracts and other assets that may skip probate? Section 732.703, Florida Statutes means that if a decedent had his or her spouse designated as a beneficiary on an account before the divorce was finalized, the divorced spouse is treated as if he or she died before the decedent passed away. This means that the divorced spouse will not receive the asset and the asset will be part of the decedent’s probate estate. Again, like the other provisions discussed above, this statute is meant to prevent the divorced spouse from receiving assets in the event the decedent forgets to change these designations after a divorce. It is also important to remember that jointly titled accounts or other assets (usually held as joint tenants or tenants in common) are not automatically voided when a divorce is finalized. The ownership of jointly titled assets will need to addressed specifically in the divorce or annulment action, otherwise each divorced spouse will be entitled to his or her ownership interest in the asset even after the divorce or annulment is finalized. What about other estate planning documents like a power of attorney or designation of health care surrogate? A divorce action also has effects on your other estate planning documents such as your power of attorney or your designation of health care surrogate. For a designation of health care surrogate under section 765.104(2), Florida Statutes, “Unless otherwise provided in the advance directive or in an order of dissolution or annulment of marriage, the dissolution or annulment of the principal revokes the designation of the principal’s former spouse as a surrogate.” This means that once the divorce is final, the divorced spouse no longer will have the power to act as a health care surrogate for the other spouse. There is a big difference for a power of attorney when a principal divorces the agent named in the power of attorney. As soon as the divorce action is filed the spouse named in the divorce action no longer has any power under the power of attorney. Under section 709.2109(2)(b), Florida Statutes, an agent’s authority under a power of attorney terminates when “an action is filed for the dissolution or annulment of the agent’s marriage to the principal or for their legal separation, unless the power of attorney otherwise provides.” This means that a power of attorney where the principal names his or her spouse as agent will terminate as soon as the divorce action is filed. Therefore, if you do not have any successor agent named in your power of attorney, the document ceases to be effective as soon as the divorce or annulment action is filed. Should I have a new estate plan created? In short, yes. If you only named your former spouse in the will and do not have other children, it would be wise to have a new estate plan drafted if you have any qualms with the state to decide to whom your assets will be transferred. As stated in section 732.101(1), Florida Statutes, “any part of the estate of a decedent not effectively disposed of by will passes to the decedent’s heirs as prescribed” in the Florida Probate Code. This can get tricky if you do not have children or other heirs to leave your estate to. In this situation, section 732.107(1), Florida Statutes states “[a] person dies leaving an estate without being survived by any person entitled to a part of it…” Florida Statute 732.107 (2) goes on to state “[p]roperty that escheats shall be sold as provided in the Florida Probate Rules and the proceeds paid to the Chief Financial Officer of the state and deposited in the State School Fund.” Although this is rare, if you do not have any family or descendants alive at the time of your death, your assets may be provided to the state if you do not have a new estate plan. If you have any reservations as to what happens with your assets upon your death, it is wise to have a new one created. Also, it’s important to remember that the statutes cited in this post, except for a power of attorney, only take effect after a final decision for the divorce is entered. If a person were to pass away while a divorce is pending, the estate plan in effect at the time will still be effective. Therefore, if you know that you do not want any of your assets to go to your spouse while the divorce is pending, it’s a good idea to change your estate plan sooner rather than later. There may be an issue with the elective share, however your soon to be divorced spouse may may be entitled to less under the elective share, depending on your estate plan. As is always the case, it’s best to talk to an estate planning attorney once you file for divorce in order to see what your best options are. If you are involved in a divorce, contact us today to schedule a free consultation to review your options for changing your estate plan. At the consultation, we will review your current estate plan and provide recommended changes that may be beneficial for your situation. At the very least, you may be entitled to some reassurance that your estate plan is going to be changed that your divorced spouse will not be entitled to any of your assets after you pass away. Written by: Sarah Jacobi, Stetson University College of Law, Class of 2020 and John Richert Esq. Edited by: Patrick Quarles Esq.